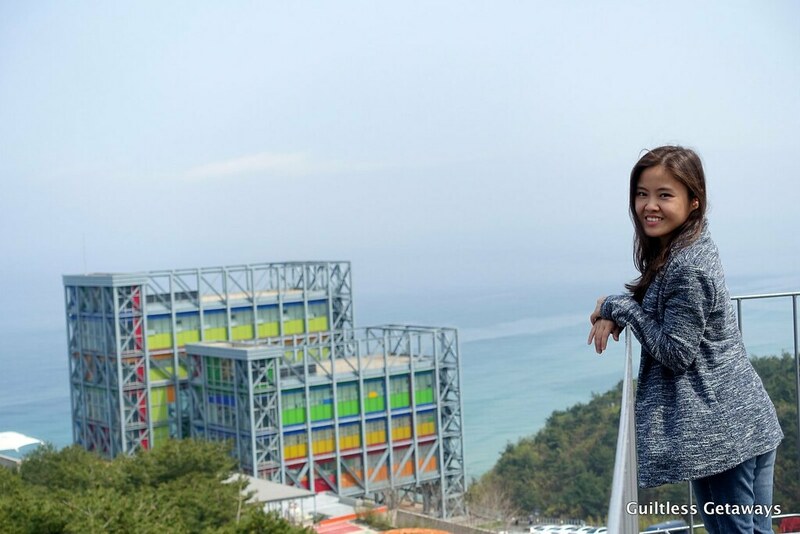 Guiltless Getaways: Things to Bring for Sagada Spelunking and What It is Like Inside the Sumaguing Cave Beginner's Trail! 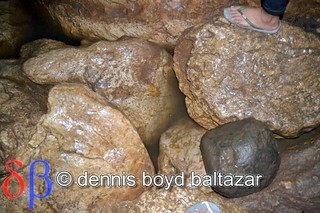 Things to Bring for Sagada Spelunking and What It is Like Inside the Sumaguing Cave Beginner's Trail! It was my first time to do spelunking in Sagada and my first impulse was to bring everything that I might need in the trip. Good thing I thought of ways to protect my body, arms, legs and feet! Haha. You'll find that most of the shots here are from somebody else in our group. This is because I know a camera on my neck will only weigh me down. I knew I must focus my energy on caving (for the first time haha) and one small slip or mistake might lead to something serious. I also know that my camera can't handle super dark places and my hands are shaky especially after a workout. I might also bump it on a rock with icky bat poop or it might fall in the water. Plus, I don't have the skill yet and time to play with the manual setting like the professionals with me ;) Lastly, I just wanted to have fun and not thinking about it too much coz I had no clue on the details of the trail and the cave haha. The end result of thinking that ahead and knowing your limits was great! It was one of my most memorable trips ever and it was just AMAZING inside. I got so close to the formations and even hang on some for my life haha. Just look at my pic below. 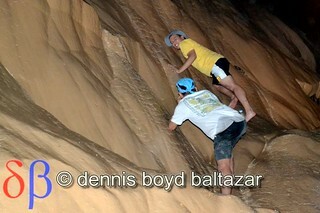 I was psyching myself before I strategically climbed down a humongous wall of limestone hehehehe. 1. Mojo Slippers / Anti-slip Footwear - My Mojo slippers were a bit big so all the dirt went to the extra space and protected my feet! Haha. It was a very nice spelunking slipper, not slippery. You can find the list of places to buy Mojo sandals here. Sagada Homestay Review - If You're Looking for a Cheap Place to Stay in Sagada, Mt. Province! 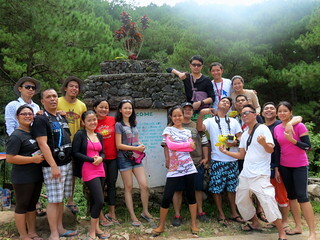 Also Packaged Sagada Tour from Manila! Eat, Walk and Trek in Mt. 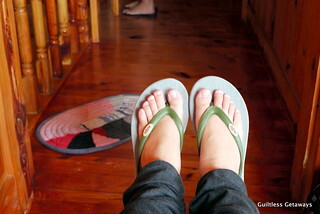 Province - Things to Do in Sagada Part 1 and My Mojo Slippers - Sagada Weaving, Pine Trees, Food Trip, Lemon Pie, Yoghurt, Souvenirs and Many More! Things to Do in Sagada Part 2 - Sunrise, Market, Hanging Coffins, Trek to Lumiang, Sumaguing, Sagada Pottery Training Center, Lake Danum, Sunset! Timestamp: 9:40 a.m. The Before Shot at the entrance haha. 10 a.m. All guides ready! Briefing check! Buddy system check! 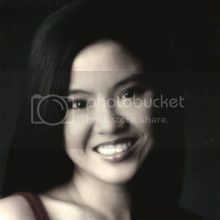 Last matinong pic! Hahaha. Time for some action! We were pretty much like this inside. 2 to 3 sources of light. Single-file. Weak and slow ones in front. We encountered traffic and others going to the other direction on some routes. Sometimes, hugging the rock is your best option. Cliff / point-of-no-return-for-an-amateur / long way down on the other side. 10: 20 a.m. You would definitely use your hands and hang on to something solid. 10:30 a.m. No playing around. Serious stuff. 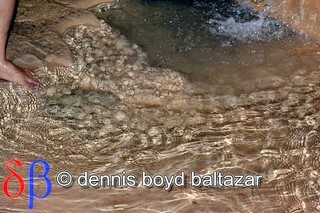 10:40 a.m. Water inside the cave! The rocks also change! Limestone! We left our slippers and my gloves here (came back for it later). Wouldn't be needing it. My fingers and toes also stuck well to the limestone (has lots of friction, not slippery). Parang gecko / felt like Spiderman haha. Amazing! 11 a.m. What an experience! At pababa lang nang pababa hehe. Kuya explained about the formation of limestone, black mix of limestone and carbon deposits, crystals and diamonds. If there weren't people going in and out here (heat), bet they'll be lots of that (diamonds) formed already here!!! There's a Crystal Cave trail also and a link to this cave somewhere. This was one of the harder parts. 11:15 p.m. You'll get here - the first group photo opportunity. Haha. From this point on, the professionals already gave their cameras to the Kuyas (put in their backpacks for safekeeping) because you would be asked if you want to go into deeper (~chest-high) water. If not, lights out for you and you wait here haha. There was one tight situation where we had to crawl and rotate our bodies to get through the hole. Then the ground I was stepping on was soft but icky haha. The water is super clear from the natural filtration but I think there's bat poop mixed at the bottom haha. We came from that black hole below. 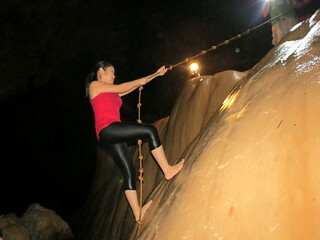 There's rushing water below and we had to hang on to the rope and walk on the wall. The Kuyas had to help us cross it one by one! Upper body workout.. I think this was the most difficult part for me because I couldn't reach the other side without help. It was also just a (regular) rope for support.. 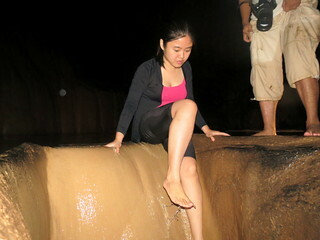 It didn't help that there was gushing water and due to my height, I could drown if I don't hang on to somebody. Well, I got a bit scared and sorta wanted to go back already haha. Hope they could install something more professional and safer there. 12:10 p.m. The worst part is over. Whew! All clothes wet at this point. 10 minutes rest! Haha. But wait! There's more! 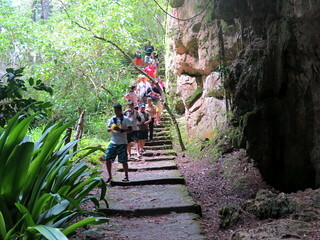 There was this walk sideways challenge that scared me too because it was slanted and we could fall face down into rocks. There was limited space up there too so we had to glue ourselves to the slanted wall. 12:20 p.m. One of the last challenges was to climb up a rope to get to the pool where we were earlier! 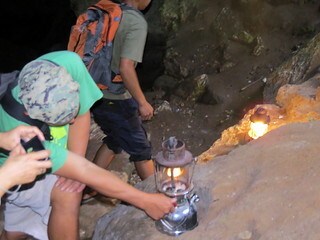 What to Bring for Sagada Spelunking? 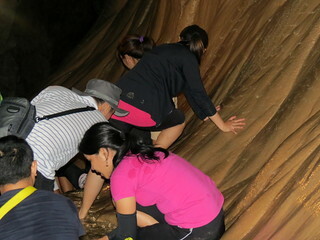 / What Is It Like Inside the Sumaguing Cave Beginner's Trail? I'd love to hear from you below: Have you ever tried caving / spelunking? Which cave in the Philippines have you heard about or gone into? Wow! Sagada is a Nice Place to Visit. The Cave is awesome. 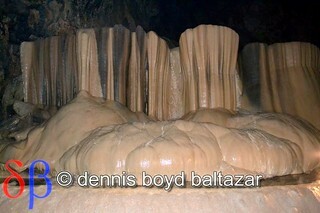 Hoping to visit soon the Sagada. 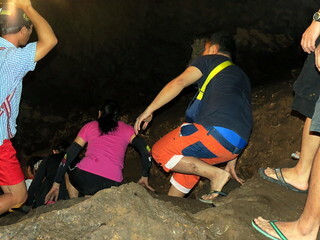 I never tried caving or spelunking but your visit at Sumaguing Cave seems to be a great experience but for now, I want to try PPUR first at Palawan in the future. I haven't tried caving/spelunking but i would love to try i am just afraid doing it. 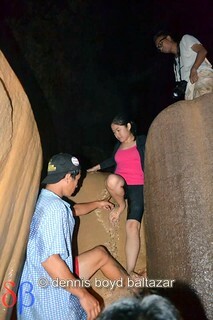 I love your adventure in sumaguing cave. The limestone fromation are awesome!! 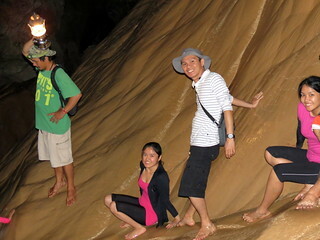 I have tried Mystical caves in Antipolo a decade ago. The rock and mineral formations are interesting that each of them was given a name or title based on the closest thing or people they resemble to. I haven't tried yet caving/spelunking, but if given a chance I'd love to try :D I really love to experience and see the beautiful limestone formation. 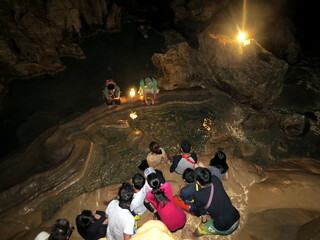 I'd love to experience the Puerto Princesa Underground River in Palawan. I haven't tried caving/spelunking. 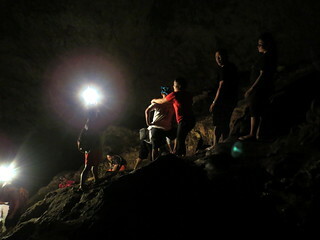 I am looking forward to try Callao Cave the limestone caves located in the Municipality of Peñablanca, Cagayan province. 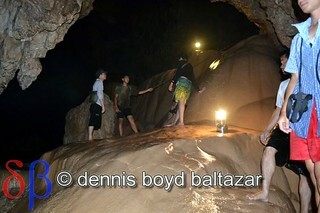 never tried yet caving but I want to experience different place here like underground river your blog is very imformative. Awesome adventure. I have be in a cave once, a long time ago but i got scared of the bats so i never tried it again. 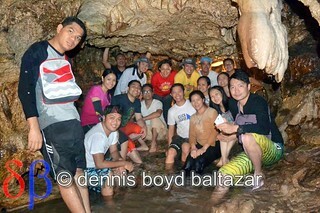 I forgot the name of the cave but last time i heard it was bought by the Riviera Golf club in Cavite. 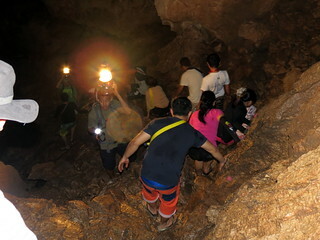 I have gone toTimobo cave in Camotes Island. But haven't into extremes such as the ones you and the rest of your friends did in the picture. 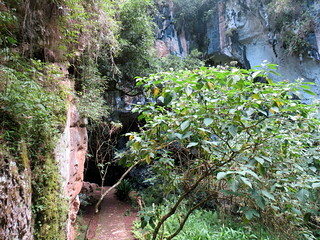 The trail going inside is no longer as natural as it seems since the cave has already been commercialized. I haven't tried caving/spelunking yet, but I love to experience it. 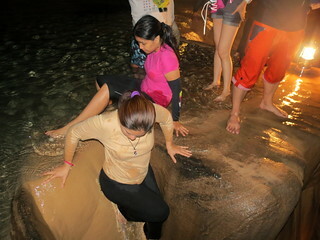 I want to try it at Puerto Princesa Underground River because it is one of the New 7 Wonders of Nature. 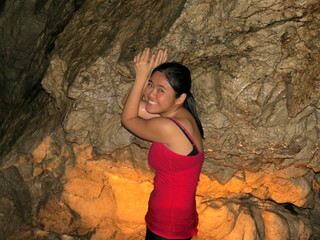 I've gone inside the cave of Suhot Cave in Dumalag Capiz! I've never tried it, but if given the opportunity, why not? My friends and I are planning to have this kind of activity for the coming semester break. 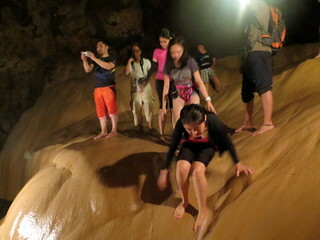 I would definitely encourage them to try Sumaguing Cave! 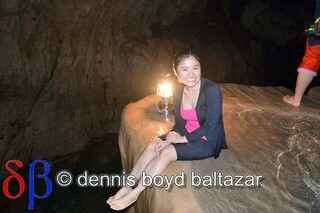 I have gone into several caves in Baguio. But these were shallow caves. I am not sure if I would be able to go into really deep caves since I suffer from Claustrophobia. But if there is one cave system I want to explore that would be the Underground river system in Palawan. 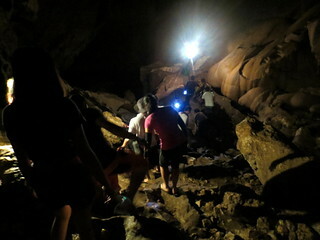 I have'nt been able to do caving :(( , if i will be given the chance?! 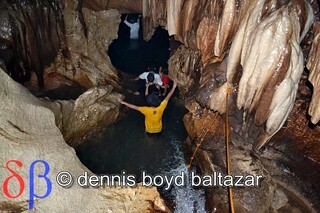 :) i would love to explore the cave of Palawan Underground River or St. Paul Subterranean River. As we all know its our country's pride that is chosen to be one of the new seven wonders of the world. I want to see it in person. I was so interested in this cave a long time ago. 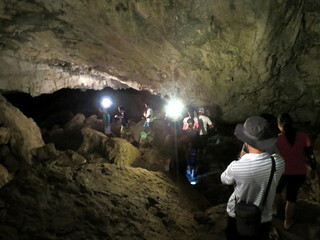 They said that the cave shows the history. 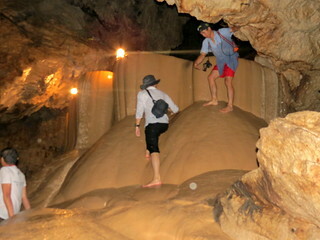 Been to China's cave, they have paved walkways, stairs, lights, quite easy compared to your adventure. wow! you are such an adventurer! I wish i can go there someday too. It was such an exciting experience to do caving, i haven't tried it but I'm very eager to see the caves in Puerto Princesa, Palawan. Haven't tried caving and/or spelunking before but I'm willing to try it soon. 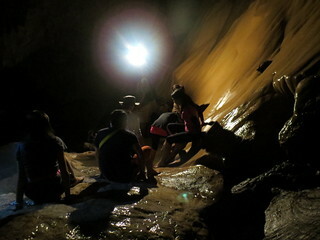 This blogpost makes me wanna try visiting Sumaguing Cave in Sagada. 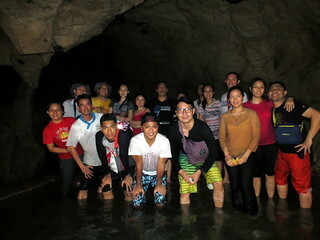 Me and my friends went to puerto gallera for some beach experience and we were surprised that a tourist guide guided us to a cave near the tamaraw falls. awesome! Honestly, I haven't tried caving/spelunking in my entire life but as far as I know, Puero Prinsesa Underground River is the best cave in the Philippines that will give you a best caving experience. If you have been to Sumaguing Cave, PPC's Underground River will bored you out.Caving and spelunking is all about action and excitement which the latter doesnt have. I have been to Sumaguing, just a precaution, dont be noisy inside the cave, had a creepy experience the last time I went there. I haven't tried caving/spelunking. 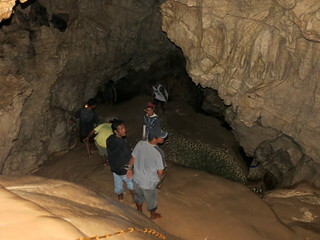 In our province lot of caves most of them unexplored and yet to be named, some of them with mystical vibe. 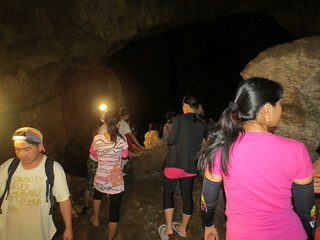 Some of Marinduques caves are featured in kapamilya/kapuso network. Explore it and might be named for you. I haven't tried caving/spelunking yet but would love to someday. I just don't know if I could last that long, LOL! I haven't tried to go caving but i am planning to grab the opportunity when it knocks. 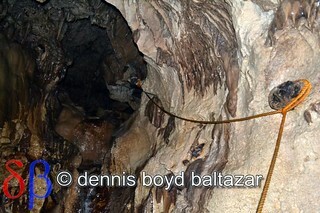 i am planning, if God will let me, to do my first caving to Tabon cave where our said ancestors where first found. I haven't tried it yet.. but soon I will ! yay ! I have not yet tried caving/spelunking, but if given a chance I would like to go to Puerto Princesa Underground River in Palawan, my cousins told me that it was so beautiful when they went there it took them 30 to 40 minutes to see all; the underground river is the longest navigatable subterranean river in the world and included in the new list of 7 wonders of nature. 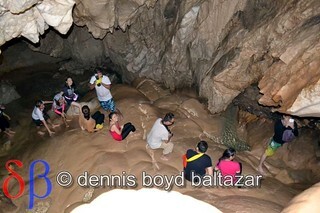 Never tried caving/ spelunking they say it's fun but i'm not a physical activity person :D I loved malling and browsing the net, as far as I know the deepest cave in the phil is in palawan :) I have relative there but seriously we never talk about it. I watched the THE DESCENT movie and that really scares me! 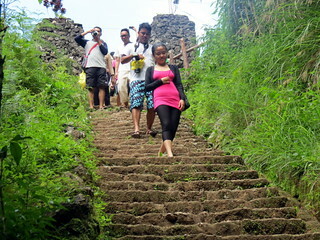 I've been to biak-na-bato for my school's field trip. 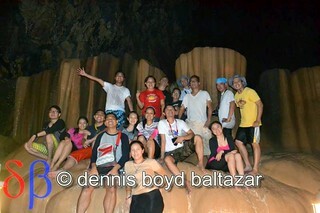 It was quite fun and memorable since I get to experience and see the secret "hideout" of the group of Emilio Aguinaldo. Even though the caves looked dark and creepy, it was a joyful experience all through out because of the knowledge and happiness I recieved. 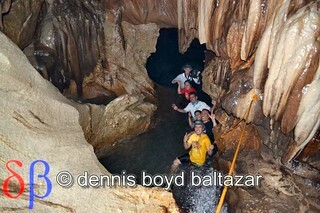 Never tried caving or spelunking but i know some caves in the philippines and it is sure fun to try it there. 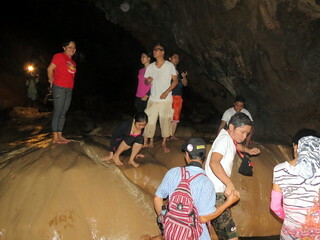 Some of them is the Puerto Princesa underground river in Palawan, of course. One of the new 7 wonders of the world and would definitely worth the trip. 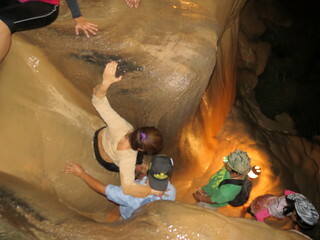 The other one is the cave connection in Sagada. Saw some photos and it is amazing! 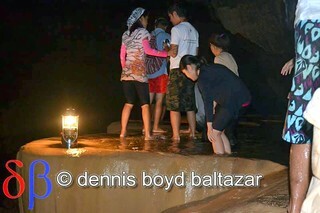 Never tried it yet but if given the chance I would love to go to Sagada! I haven't tried but I'd love too! 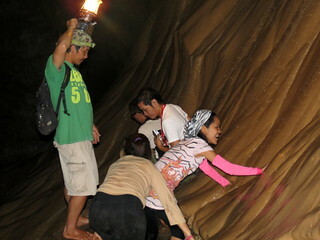 I want to visit the famous cave in Palawan. 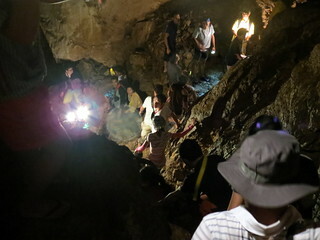 Have you ever tried caving / spelunking? 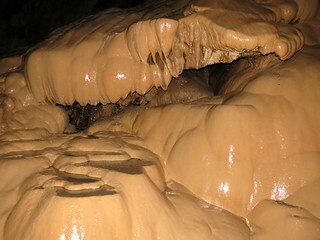 Which cave in the Philippines have you heard about or gone into? Way back in highschool, we have this field trip called EOP or Educational Outbound Program (maybe, if your interested, you can visit their site, http://www.lakbaykalikasan.com/features.html ) :). 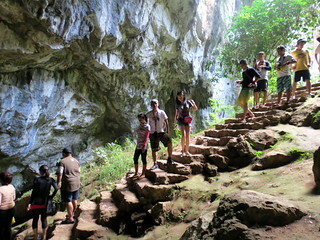 We went to Biak na Bato (Bulacan) where there's a lot of cave and in Mt. Banahaw (Quezon Province). I enjoyed it. 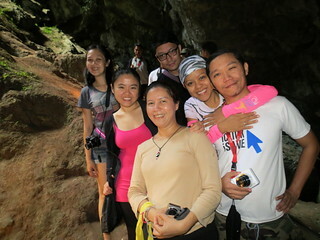 It was a great experience though we can't stay long enough in those caves because we have to follow the itinerary set by our facilitators. But, I have an interesting experience even though I got a friend who slipped and accidentally kicked me right in my head. Haha, it seriously hurts but thank God there's no blood. 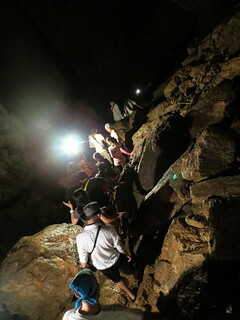 I think it is called, 'husgado' cave in Mt. Banahaw. It's one of the most memorable one and challenging for me. 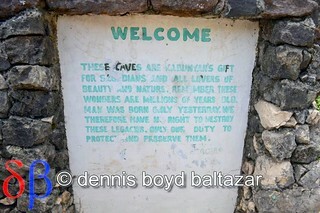 AS far as I could remember, we have gone to Biak na bato, the birthplace of the philippine republic. Pretty surreal and majestic view in there! 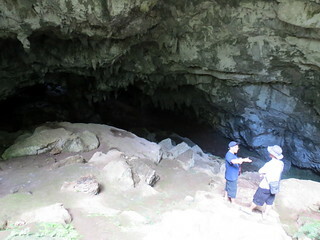 I heard about the Bito caves (1 & 2) in Capul, Northern Samar from my father who've been there when he was still living in NS. Have you ever tried caving / spelunking? Which cave in the Philippines have you heard about or gone into? 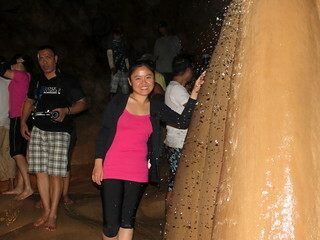 Of course, the famous, one of the wonders of the world, the Palawan Underground River! Thanks for sharing this awesome experience! I can't wait to visit Sagada! Should we bring gloves? Wouldn't it be a safety problem? i did and it was of great help. We will be going to Sagada this weekend! I'm glad that I stumble across your blog. Now I know what to prepare for the caving. Thank you! ^^ Looking at your pictures made me super excited!